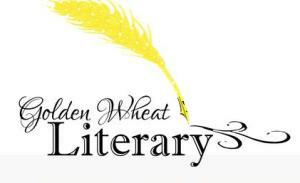 Last week I signed a contract with an American-based literary agent. 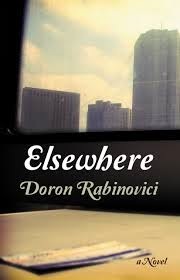 My new book, a suspense novel set in both Israel and Bulgaria, is on submission. 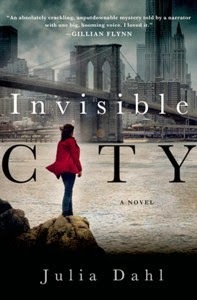 I describe myself as an American-born, Israeli author who writes about Bulgaria. My first novel, the self-published Valley of Thracians, was set entirely in Bulgaria. InThe Burgas Affair, the action takes place in two countries I love - Israel and Bulgaria. You probably have guessed why I write about, and love Israel. I was born in Sioux City, Iowa, and made aliyah with my family at the age of fifteen. I finished high school in Jerusalem, served for three years in the Israel Defense Forces, was a founding member of Kibbutz Yahel in the Arava Valley. I married Jodie, who had moved to Israel from Ithaca, New York, and together we began raising a family. We eventually moved to Moshav Neve Ilan, outside Jerusalem, where we continue to live today. My wife and I received an amazing once-in-a-lifetime opportunity and we made the most of it. My position at a Ramat Gan-based marketing company was relocated to Sofia, Bulgaria, on a two-year contract. My company markets online gaming websites and software – only in countries where it is legal to play these games. Our primary market is Europe, and therefore certain management positions needed to be physically located in Europe. We immediately fell in love with Bulgaria. The food was different and very tasty. The culture was fascinating. The history, both the ancient glory of the Thracians that led me to mention them in my novel, and the more modern dark years of Bulgaria's communist regime – it was captivating. We traveled all over the country, from the Black Sea shores to the mountain villages. We made many Bulgarian friends. I could talk to you about Bulgaria for hours. The one thing I must mention is the special role Bulgarians played in rescuing their Jewish citizens during World War Two. Although Bulgaria sided with the Nazis, its entire community of some 55,000 Jews survived the Holocaust. Because of the bravery of Bulgarian politicians, clergymen, and ordinary citizens, Bulgarian Jews survived. Unfortunately, this amazing story has a sad element – over 11,000 Jews from the Bulgarian-controlled territories of Macedonia and northern Greece were sent to the camps and died. Most of Bulgaria's Jewish community made aliyah shortly after the establishment of the State of Israel. There is a small, active Jewish community in Sofia. The synagogue there is an amazing building. Bulgaria is a strong supporter and ally of Israel. Living there, we felt very comfortable and never hid the fact that we were Israelis or that we were Jews. We visited Bulgaria this month. Our trip to Sofia was like going home. We saw our friends. I spoke a bit of broken Bulgarian that the locals understood – they appreciated my efforts to speak their language. And we drove into the Rhodopi Mountains, a beautiful area near the Greek border that I will be writing about for months to come. I am not a travel guide – I am a writer. I love to write about Bulgaria in efforts to convince western tourists to visit that country. Bulgaria is stunning, different, and totally affordable. I wish I could show you the country personally. I love Bulgaria! Coming back to Israel from our two years abroad, I became inspired to write, and in particular, I wanted to write about Bulgaria. 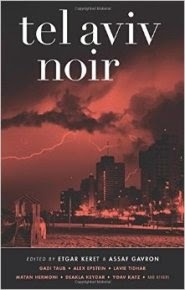 But, I also love to write about Israel, the Jewish holidays, and I review books written by Israeli authors, especially those just translated into English for the first time. I can proudly say that The Times of Israel became my first home for articles, book reviews, and even humorous pieces. My debut blog appeared on these virtual pages on July 12, 2012. This is my 77th article to be published at The Times of Israel. I now write for the Huffington Post, the Jerusalem Post, the Oslo Times, and a number of other online media sites. This article is about the sky. This article is about how far someone who studied English in a Jerusalem school, and who served in the IDF, and who raised three young children on a very young kibbutz, and who continued to dream and dream for years and years – how far that person can go with his writing. I was interviewed by Novinite.com - Sofia News Agency, the leading English language news source in all of Bulgaria. No need for additional words. Read the interview, complete with beautiful pictures! 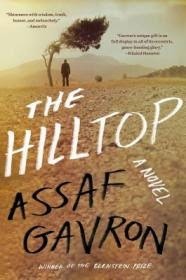 In Assaf Gavron's novel The Hilltop, an illegal settlement in the West Bank is home to Jewish settlers safe from the threat of evacuation thanks to a "hodgepodge of laws and conflicting authorities." The settlement is called Maale Hermesh C, an extension of Maale Hermesh A and Maale Hermesh B which doesn't appear on official maps. Considered by the government to be illegal, and a thorn in Israel's relations with the United States, the outpost has so far escaped evacuation because the required resources in the defense establishment are occupied elsewhere. This hilltop outpost has attracted a handful of colorful, very believable characters. Bearded veteran Othniel Assis has established a vegetable farm that may, or may not be situated on privately owned Palestinian land. Gavriel Nehustan and Roni Kupper, orphaned brothers who grew up on a kibbutz, have arrived at the outpost for completely different reasons - one has experienced a religious awakening and the other has become penniless after pursuing a career in Tel Aviv nightlife and New York finance. There are women settlers as well, including right-wing patriot Neta Hirschson and Russian-born math teacher Jenia Freud. The outpost's residents raise families, celebrate the Jewish holidays, bring baked goods to the Israeli soldiers who guard their homes, remodel part of their kindergarten to be used as a synagogue, fall in love, and protest the occasional visit of Israeli politicians. In short, they live normal lives in what can be best described as an absurd, off-the-map place to live. This kind of life doesn't appeal to everyone; some families arrive only to end up searching for more established communities in the heart of Israel. Others consider themselves pioneers, yet even they occasionally voice longings for the necessities of life which have not made their way to their hilltop home. "Give me a grocery store," laments one resident. "Give me a bus into town. Give me a kindergarten and a preschool and a school." The lack of air conditioners and hot water, and even electricity when the outpost's generator breaks down, are challenges faced on a daily basis. Located near Maale Hermesh C is the Palestinian village of Kharmish. When the Israeli government moves to build the security fence between the two communities, an act that will encroach on both the outpost and the Palestinians' olive tree orchards, settlers and their Palestinian neighbors find themselves jointly protesting the IDF bulldozers, the strangest of bedfellows in a very strange, surreal reality. 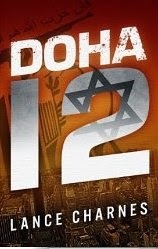 There are no easy outcomes in this novel, but such is the reality in the Israeli-Palestinian conflict. 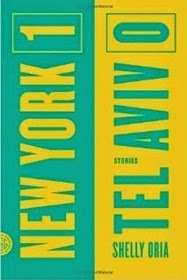 Incidents described in the book could easily be sprouting from today's newspaper headlines; the advantage of reading about them in a work of fiction is that the talented author can include Biblical rhythms, satire, humor, compassion, and even wisdom in the descriptions of those involved - settlers, soldiers, and Palestinians alike. The Hilltop is a fascinating read, a balanced portrayal of an often despised group of Israelis. Gavron, one of Israel's leading literary talents, successfully humanizes a charged, political situation, giving voice to all sides without polemics or bias. 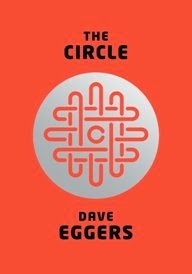 The story with all of its facets and subplots, is truly enjoyable, making one wonder what will happen next in the wild, wild West Bank after the novel ends. The Hilltop (Scribner, October 2014) has been described by Time Out Tel Aviv as "the great Israeli novel". Published now in English with a seamless, expert translation by Steven Cohen, the book has been praised by a star-studded list of literary talents including Khaled Hosseini, Colum McCann, Reza Aslan, Etgar Keret, and Amos Oz. Assaf Gavron, born in 1968, is the author of five novels, a collection of short stories, and a non-fiction collection of falafel joint reviews. The Hilltop was awarded the Bernstein Prize for original Hebrew language novel. Gavron is also a highly regarded English-to-Hebrew translato, as well as the singer and main songwriter of the cult pop group The Foot and the Mouth. Buy The Hilltop and read it now. In The War on Women in Israel, Dr. Elana Maryles Sztokman asks why Israel's government has constantly sided with an extreme version of Judaism. An outsider reading this extensively researched review of the way women are treated in the modern Jewish State might think that the author was describing Alabama of the 1950s. With women segregated to the back of certain public bus lines; prevented from singing in the Knesset and banned from some official ceremonies; and forbidden to pray according to their beliefs at Judaism's holiest site; it would seem that Israeli society is suffering from a severe case of gender discrimination. "The cold, hard reality facing woman in Israel today is that while Israel has made certain strides for women's rights, it has not achieved the mission for which it was created. It is not equal for all, regardless of gender," Sztokman says. But what is more alarming, in her opinion, is that "there is a growing faction of Israelis who are threatening not only equal rights for women, but also their fundamental freedoms and their presence in society." What follows is a report from the battlefield, detailing the war against women in the Israeli army, on the buses, in the courts, and on the streets of the country. The combatants on one side of the conflict are, initially, religious feminists. Their enemy is not just the ultra-Orthodox extremists who abuse them verbally and physically; the problem, the author states, is much greater. Sztokman's book sets out to tell how these feminists, and their allies, are "protecting the world from the spread of religious extremism." 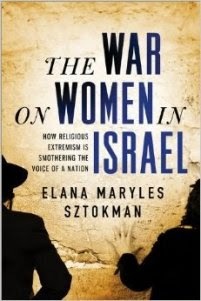 The War on Women in Israel (Sourcebooks, September 2014), has a lot of ground to cover in its war reporting, and Sztokman lives up to the task. Her exhaustive study is based on extensive interviews and original research, quoting a wide range of activists, scholars, rabbis, and political leaders. Court cases and decisions are faithfully reported; footnotes and media sources are meticulously listed. Israel's gender discrimination, according to the author, is due to "a system in which ultra-Orthodox groups are given free rein in politics and education, receive enormous public budgets for their institutions regardless of what is taught in them. 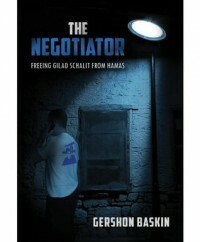 The message is clear," the author says, "ultra-Orthodox groups have disproportionate power over Israeli society." Sztokman is quick to lay the blame on successive secular governments that have gone too far in their acceptance of radical Haredi demands, demands not based at all on Halacha. "The story of these rising tensions between religion and gender in Israel has more to do with money and power than with God," she states. 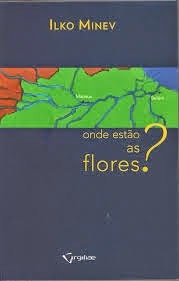 There is hope, though, as the book correctly points out. This is when Orthodox women partner with secular feminist activists and proponents of religious pluralism. “The war on women in Israel is a war on women – and men – everywhere,” Sztokman stresses. People everywhere should care about who wins this war, she argues, "because the whole world is threatened by religious extremism, and it will jeopardize our own freedoms too if we allow it to continue unchecked." Headlines about cases of gender discrimination continue to appear in the Israeli media on a daily basis – the war is ongoing. Along with all the facts reported in this thorough study, Sztokman’s single-minded dedication to fight back against gender-based injustices in Israeli society is a battle cry, calling on citizens everywhere to demand that their leaders refuse to give in to religious extremism. Dr. Elana Maryles Sztokman is the former Executive Director of JOFA, the Jewish Orthodox Feminist Alliance, and a leading author and activist on the issue of religious feminism in Jewish life. Her first book The Men's Section: Orthodox Jewish Men in an Egalitarian World, won the 2012 National Jewish Book Council Award for Women's Studies. Originally from Brooklyn, New York, and a graduate of the Yeshiva of Flatbush, Sztokman moved to Israel in 1993 and today lives in Modi'in, Israel with her family. Buy The War on Women in Israel and read it now! Eight years after suggesting that Israel was an "honest" mistake, Washington Post columnist Richard Cohen's follow-up book shows that his love for Israel prevails. Israel "is an honest mistake, a well-intentioned mistake, a mistake for which no one is culpable," Cohen wrote in a July, 2006, column. "The idea of creating a nation of European Jews in an area of Arab Muslims (and some Christians) has produced a century of warfare and terrorism of the sort we are seeing now." Stating that there was no point in condemning the fetid anti-Semites of Hamas and Hezbollah, Cohen suggested that Israel "pull back to defensible -- but hardly impervious -- borders. That includes getting out of most of the West Bank -- and waiting (and hoping) that history will get distracted and move on to something else." 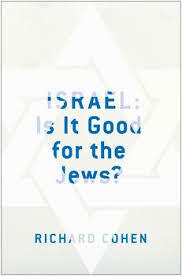 Referring to that article repeatedly in his new book, Israel: Is It Good for the Jews? (Simon & Schuster, September 2014), Cohen explains that "the word 'mistake' was itself a mistake." The mistake, he simplifies, was the "belief that somehow the Arab Middle East would politely make way for European Jews." Cohen plunged into writing his book as a result of that article. He vowed to "tell the story of where Israel went wrong and how Israel went wrong." Yet, as one reads his intensely researched anecdotal essays on Jewish history, anti-Semitism, and the Holocaust, one can't help but conclude that Cohen is arguing that Israel is a mistake that had to be made. "Israel is the product of history's most murderous century," he writes. "As a nation, Israel is a battered child. It is therefore difficult to reproach Israelis for their occasional cruelty, for their wavering resolve to expel the Arabs from their land, for their determination to prevail no matter what." Looking back at the tumultuous events of 1948, Cohen assigns blame to others as well. "Had the Palestinians and the nearby Arab states agreed to the United Nations partition plan, had they acceded to the creation of the State of Israel, the predicate for the nakba would have been avoided." Considering the options at the time, Cohen says that Israel's birth "was midwife by the immense moral imperative to compensate, to express contrition and guilt and horror and shame at what had just been done to the Jews [in the Holocaust]." Many nations had acted to solve problems of mixed populations at their birth, but not Israel, he writes. Israel's "refusal to engage in population transfer or ethnic cleansing so that Israel would be as free of Arabs as Hungary is of Romanians or Turkey is of Greeks has left Israel in mortal peril. It was a mistake." As he grew up, Cohen believed in the Israel "that was not only a miracle, but a miracle that performed miracles." But years later, Israel's moral imperative had been "both forgotten and soiled." In Cohen's eyes, the soiled part, Israel's fault, was its occupation of the West Bank. "The mistake of my long-ago column is becoming more and more apparent," Cohen says. "Israel has lost the sympathy of the West. It behaves like an abused dog: hit so many times that it bites for almost no reason at all." Yet, despite his repeated arguments, which fail to offer ways to correct this so-called 'mistake', Cohen can't help but express his own personal love for Israel, and for the Jewish People. "I love my own people," he stresses. His book is highly personal, detailing family roots in anti-Semitic Europe, a visit to the Polish town where his mother once lived, and experiences in Cairo, Beirut, and with his family, when he stood prepared, as a Jew, to defend his children from brutal terrorists. "In writing this book, I fell in love - with Israel, yes, but mostly with Jews," Cohen concludes. Looking into the future, he is not entirely optimistic. He envisions Israel as a refuge for the "ultraorthodox, living in their own neighborhoods, keeping mostly to themselves - Judaism trapped in a time capsule." "Does it matter if Israel survives?" Cohen asks. "In one sense, the answer is no. Jews survived and occasionally thrived in the Diaspora. They are a Diaspora people, at home without a home. "But in another sense, the answer is yes. It is the Middle East's only democracy. It is the creation of other democracies. It represents the best of Western civilization - not its perfection, but it has handled itself pretty well under great stress," he says. Concluding the collection of essays and personal anecdotes, Cohen states that Israel "is a nation much like any other nation. It sins. It is sometimes wrong. It was conceived in arrogant disregard of the indigenous people… It did nothing that other nations have not done, and yet their right to exist is not challenged. Israel is not evil. It is merely human." A nation much like any other nation, one cannot help but conclude that Israel has held up pretty well despite the 'mistake' of its birth in a very cruel, inhospitable Middle Eastern neighborhood. Buy Israel: Is It Good for the Jews? and read it now! In 1941, Bulgaria joined the Axis and officially entered World War II. Under pressure from Germany, the fascists who took control of Bulgaria planned to deport the country's Jews to the concentration camps in Poland. Bulgarian citizens and clergy rose up in protest,thwarting these plans. Still, Licco Hazan and his brother were rounded up and interned in a labor camp, where they were given back-breaking tasks. If you are morally opposed to the use of torture during interrogations, how far would you go if a loved one's life was at stake? 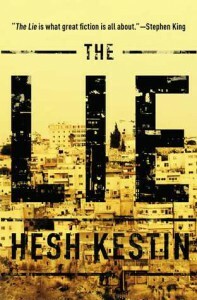 Cigarettes abound on the pages of The Lie, the new suspense novel by Hesh Kestin. There are cigars as well, and a trail of butts left by Hezbollah terrorists. Almost all of the characters in this book smoke, and those who don’t, get smoke blown in their faces. Or lit butts held to their chests. Dahlia Barr, a controversial human rights attorney who regularly defends Palestinians in Israeli courtrooms is offered a position she finds hard to refuse. She transfers to the police force to serve as Special Adviser for Extraordinary Measures, where she will be able to prevent the torturing of suspects during interrogations. "I could make a difference," Dahlia says. But she never gets a chance because her 20-year-old son, Ari, a lieutenant in the Israel Defense Forces, is kidnapped by Hezbollah and whisked over the border to Lebanon. 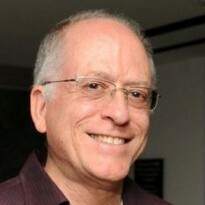 Hezbollah offers to release Ari and a second Israeli soldier in exchange for Edward Al-Masri, a Canadian professor and Palestinian rights activist with whom Dahlia has a long, tortuous history. Al-Masri is apparently key to the prisoner exchange, but he's not talking. Not yet, anyways. Perhaps if extraordinary measures are applied, valuable, life-saving information could help Israel fight Hezbollah. 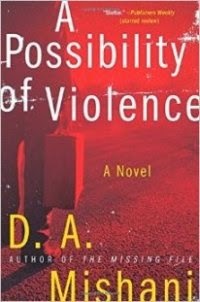 It's up to Dahlia, with her son's life at stake, to decide how to act in these most unusual circumstances. The Lie (Scribner, March 2014) is a suspenseful read, with short chapters that keep the action moving at an incredibly fast pace. In her starring role, Dahlia Barr comes across as a multifaceted character, struggling with both a pending divorce and a troublesome relationship with her mother. Unfortunately, Al-Masri and Ari, in their supporting roles, are not as fleshed out or as credible. 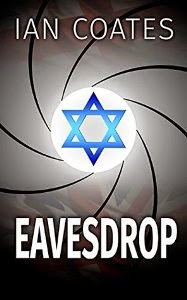 Hesh Kestin, an eighteen-year veteran of the Israel Defense Forces, was for two decades a foreign correspondent reporting from the Middle East on war, international security, terrorism, arms dealing, espionage, and global business. The father of five, Kestin lives on Long Island in New York. Buy The Lie and read it now!